Ghana’s past is full of untold stories of infringement of basic human rights. Since gaining their independence from Britain in 1957, the turmoil that Ghana’s political system has faced has left lasting scars. However, Ghana was ranked 27th in the 2014 World Press Freedom Index via Reporters Without Borders. They have been steadily improving their free speech and free press environment, coming from a ranking of 41st in 2012, and are now labeled as a “satisfactory situation.” This is pleasantly surprising because Ghana is the most free compared to their neighboring countries. Jenkins also said there were tons of small towns, and that the roads they used to get to their remote village were ridden with potholes. Ghana’s infrastructure has progress to make before they are considered a first-world country. Located along the west coast of Africa, “Ghana produces almost a third of the world’s cocoa supply.” Agriculture is still an important sector of the economy. In the 1990s, industry dropped due to economic liberty and foreign competition, but Ghana was then the second highest exporter of minerals. Today, the World Factbook reports Ghana’s service sector accounts for 50% of their gross domestic product, and they continue to export cocoa, in addition to oil and gold. Ghana’s current population is over 25 million, and it continues to increase, lending to their need for improved infrastructure. One event that drove Ghana to independence was “the 1948 violent suppression of a demonstration conducted by the Gold Coast Ex-Service Men’s Union,” a civil society organization, according to the World Movement for Democracy. Their suppression was only one of many acts against free speech in the history and road to democratization for Ghana. 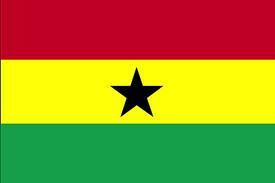 After gaining independence in 1957, Ghana’s first Constitution did not last long. In 1960, the country fell to authoritarianism and a presidential seat with entirely too much power was created. The president had the power to imprison citizens for no reason, which greatly weakened the legitimacy of the government. After the first Ghanaian coup overthrew the authoritarian government, a pattern of military regimes ensued, creating an unstable government and foundation for free speech rights. Daniel Korang of GhanaWeb wrote, “Mindful of our gloomy past of untold abuse of human rights, Ghanaians, in 1992, resolved to adopt a democratic system of government anchored on the rule of law and respect for fundamental human rights.” After political liberalization in 1992, Ghana created a Constitution with one of the largest guarantees of human rights. According to Freedom House, Ghana has a reputation of “unfettered freedom of expression” that was reinforced in 2008 during the legislative and presidential elections. Ghanaian elections thus far have respected both freedom of speech, and freedom of press. Ghana’s issues with free press went hand in hand with those of free speech. Their political history hindered basic human rights until the 1990s, and many journalists were imprisoned for publishing comments on the country’s leaders. According to a 1995 country study of Ghana, “The Ghanaian government owns the only two major daily newspapers.” Though the Daily Graphic and Ghanaian Times are still state owned, thanks to technological advancements there is a greater competition and plethora of newspapers to choose from; around 150 publications according to a WorldCat search. The increase in media presence ensures that the truth can be published, even when there are conflicts of interest like government owned media. According to their Constitution, Ghana also has a National Media Commission whose job is to ensure the freedom of the country’s media outlets. The commission is made up of appointees from a variety of government personnel and other invested councils. Although Ghana does have these clauses in place to protect the media, there are still issues. According to Index, one newspaper editor claims to have been beaten by presidential security forces after reporting on the killing of 44 Ghanaian nationals in 2006. There are other claims of current media brutality; however Ghana is much freer than its neighboring African countries, where there are not the same guarantees of freedom of the press. Authorities in Ghana also work to ensure that the Constitution is upheld and that media are given their free press rights. According to the 2014 World Press Freedom Index, Ghana ranks a full 19 places above the United States. Ghanaians have total free speech, similar to that granted to Americans in the U.S. Constitution. However, Ghana has a rule against censorship, whereas the United States has cases in which censorship is sometimes deemed necessary to protect national security. Patrick Garry said that the attempts of U.S. censorship only reflect the remarkable freedom present. He writes, “Censorship cannot be explained by describing the United States as a nation hostile to freedom and intolerant of diverse debate.” This means that citizens are still able to declare statements that others hate, and are protected by the First Amendment. The United States proved their intolerance of government censorship in New York Times v. Sullivan. However in the case of current events involving Edward Snowden, censorship does still exist and limits the flow of information and freedom of speech within the country. New York Times v. Sullivan proves again that the Supreme Court recognizes the importance of having press serve as a watch dog. The press of the United States is granted greater freedom than those in Ghana. Even though Ghana has a full chapter in their Constitution devoted to freedom of the press, their current events involving the mistreatment of journalists do not support that their press is truly free. Ghana’s high freedom rating from Reporters Without Borders is due to the presence of great inclusions in their Constitution guaranteeing free speech and free press, however, the neighboring countries’ environments may in part seep in to the country and create government censorship where there should be none, resulting in the present brutality against journalists. Ghana does have greater guarantees for freedom of speech and press than the United States. Journalist John Stossel wrote, “‘Free’ is key,” and that Americans worry too much about limiting offensive conduct. The same can be said for every country, though. Limited government might just be the key to guaranteeing free speech and free press rights. There is still room to make great strides when it comes to fundamental human rights in both Ghana and the United States. Hintz, Martin. Enchantment of the World: Ghana (Chicago: Childrens Press, 1987), pg. 50, 71. Briggs, Philip. Ghana: The Bradt Travel Guide (Guilford, Connecticut: The Globe Pequot Press Inc, 2010), pg. 26. Jenkins, Jaylon. Personal Interview. 21 March 2014. Berry, LaVerle. Ghana: A Country Study (Library of Congress), pg. xxii, 222. Garry, Patrick. An American Paradox: Censorship in a Nation of Free Speech (Library of Congress), 1993, pg. 13. Stossel, John. Give Me a Break (New York: HarperCollins Publishers), 2004, pg. 286, 278.